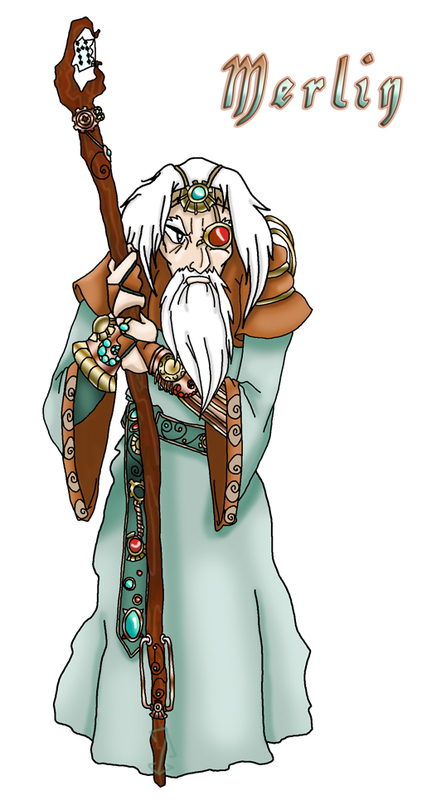 We decided on a steampunk style Merlin. He’s got a lot of detail that is easy to miss in the strip so here’s a full color version! He looks more like magitech than steampunk, but if it’s a combination of magic and steam technology, then he probably is steampunk. I suppose you’d be correct in this assumption. We used Steampunk as a descriptor in order to convey the type of feel that we are going for. He can use magic and technology in conjunction with each other :).